A holiday, long or short, is the perfect opportunity to get away from it all. Enjoying nature, being outdoors, but having every conceivable comfort at hand. Coziness, hospitality, and a relaxing environment are the ingredients that form Ackersate, a modern 5-star company where the family element is key. Holiday park Ackersate is a family friendly holiday park in Voorthuizen with a special playground beach, a trampoline park, and even indoor and outdoor pools! 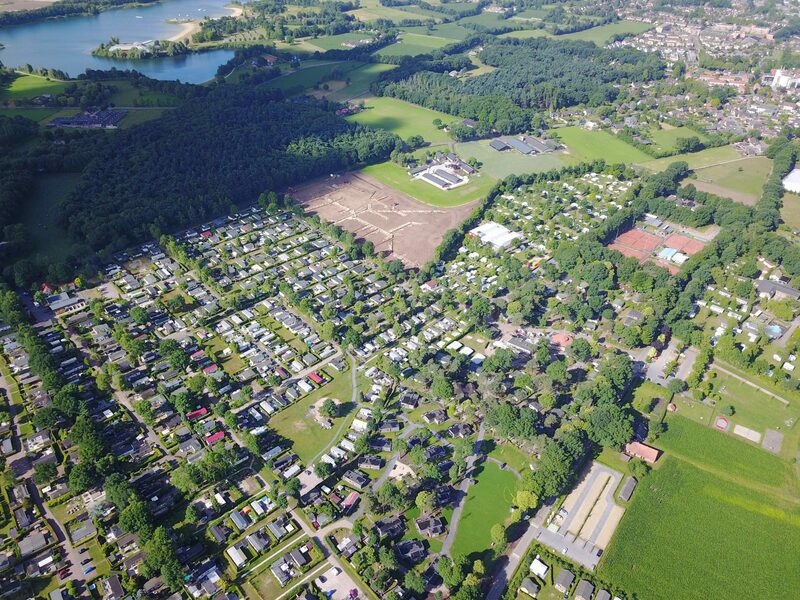 Ackersate has a wide range of bungalows, chalets, and holiday villas, but also spacious and comfortable pitches (with or without private bathroom) for camping. From the surveys, we see that our guests greatly appreciate the friendly staff, the clean sanitary facilities, and the extensive entertainment program for all ages. And they are not alone in this: the Royal Dutch Touring Club has declared us Best Campsite for the fifth year in a row. We at Ackersate are, of course, very proud of that! Ackersate is a place where you can really be yourself. A beautiful landscaped area with lots of greenery, spacious pitches, and paved roads where necessary. All this forms the appearance of our park. 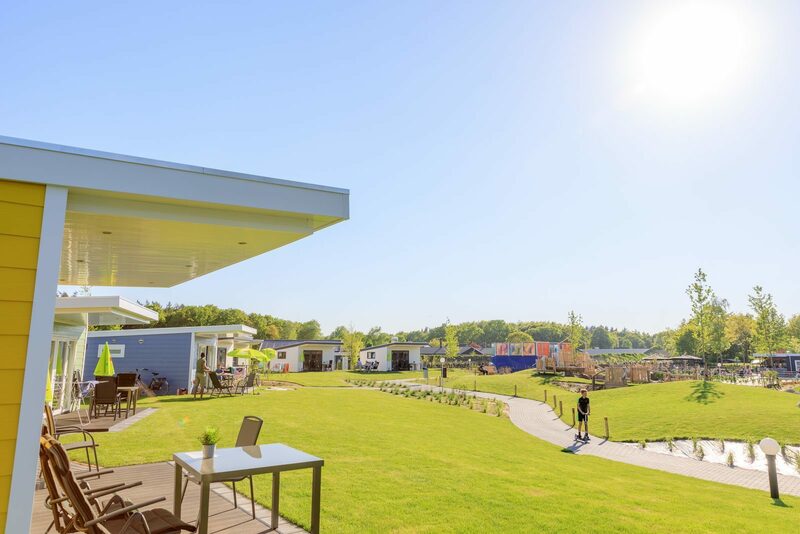 Holiday park Ackersate has all kinds of wonderful facilities to make your stay a great one! The playgrounds, sports fields, and the large swimming pool ensure that children will have the time of their lives at our holiday park. Have you become hungry after all that swimming and exercising? Then go to our restaurant, snack bar, café, or camping shop. The village of Voorthuizen is only a ten-minute walk away. Of course, it is also possible to rent a bike to explore the area. 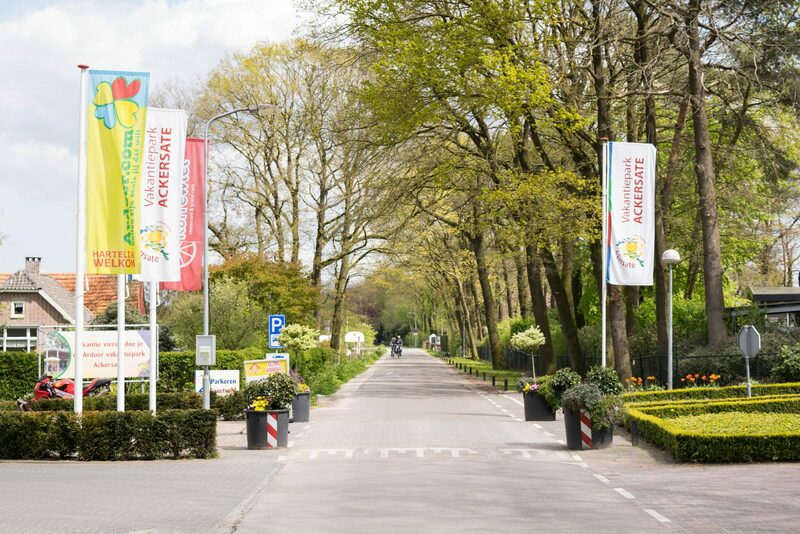 This makes our holiday park the perfect starting point for a wonderful holiday in the Veluwe. Various sports and games options, such as a sports field, mini golf, water valley, and trampoline park. Wireless Internet and connection points for television, electricity, water, and water drainage. Take a look around our website! Are you excited yet? Then choose to stay with us. However, what if you cannot wait at all? Feel free to drop by for a day to take a look and a dip in the swimming pool.